10,512.68 KMs Biked in 2017! 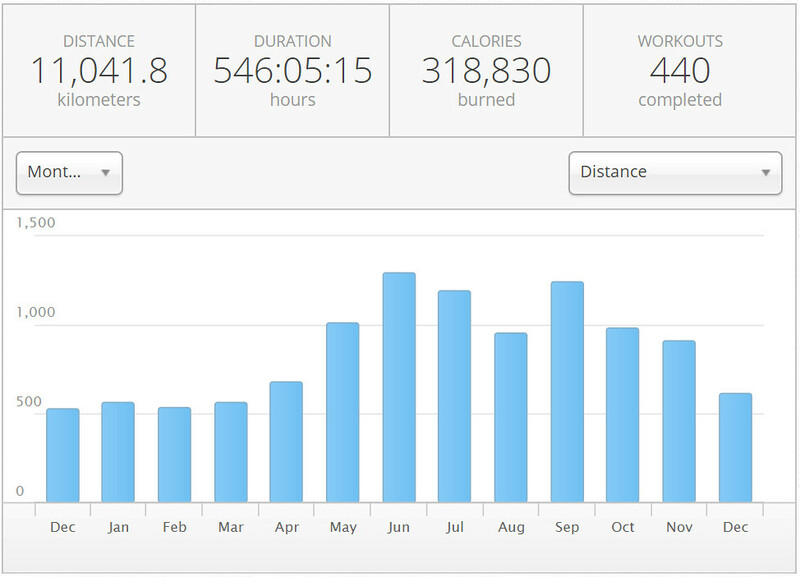 In 2012, I biked a grand total of 214 KM. They were my first kilometres in about 15 years. 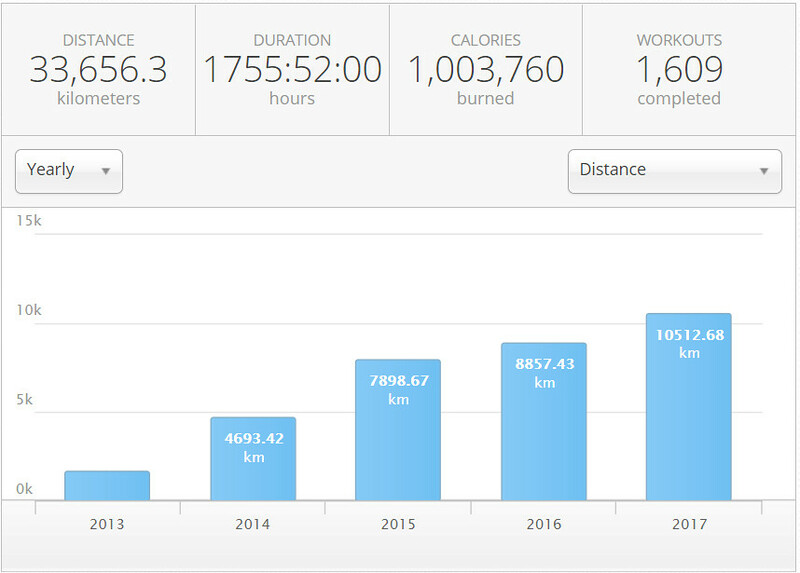 I've managed to bike further every year since, and in 2017 I cleared 10,000 KM in a calendar year for the first time in my life. I love round number milestone targets like that. Since I'm fairly confident I won't be biking today (it's -32 with the windchill as I type), I finished 2017 with precisely 10,512.68 KM cycled. I'm proud of that figure, but mostly I'm proud to have gone from 214 KM to over 10,000 KM in five years. Here's the tale of the tape. Whoa, that's an insanely high number especially considering the weather related conditions you have to deal with when biking consistently in Toronto. Going for 12,000 KM in 2018? Either way, hell of an achievement. Keep it up. My target for 2018 is 10,000 KM. I simply don't have time to gun for 12,000 KM. I bike just about every lunch, and in the summer I'm biking with the teenagers to destinations like soccer practice and soccer games and just about anywhere else we have to go. And if it's just me going somewhere. like a concert or sporting event or even the grocery store, I always bike. Thank goodness you posted this otherwise it wouldn't have happened. If I don't post this, I won't be able to reference it quickly in ten years! I love the unintentional meme Alex Pierson created. #bikeTO should be #KnobbinTO or #KnobTO in 2018. I hope it lives on for a while and I don't even bike. I've started tweeting pics of wintery rides just to use the hashtag #knob.